Thanks to SafetyTat, we got to try out a sampler of Quick Stick Write-On Tats. As seen on Good Morning America and featured in Parents Magazine and First for Women Magazine. Requires no water to apply. Quick Stick Write-on! Child ID Tattoo is a peel-n-stick skin applique. Made with our proprietary tattoo material, Tateck®, this ultra-durable skin safe applique "tattoo" sticker is waterproof and will last an extra long time -- up to two weeks -- until you are ready to remove it. The Quick Stick Write-On! requires no water to apply. Simply peel and stick -- "Quick Stick!" Perfect for traveling with children at theme parks, school field trips, sporting events, scout trips and extracurricular events. These skin applique tattoos are shipped BLANK, so you can write your information on them with the included waterproof tattoo marking pen." 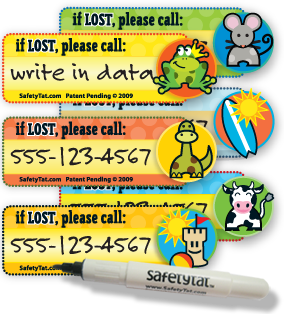 Buy It: You can buy SafetyTats on the website or check out the store locator for a retailer near you. Use the code ABCDDiaries to get 10% off your purchase of $15 or more through July 14, 2010. 6.Enter any other current giveaways on ABCD Diaries and leave a comment saying so. Disclosure: ABCD Diaries was given a set of Quick Stick SafetyTats for review purposes only. We were in no other way compensated. The opinions expressed in this post are ours and ours alone. ---Alternative T-shirts - we offer apparel that is an alternative to the repetitive conformist clothing that you will find in malls and department stores. Why wear a shirt with the word "Gap" or "Nike" on it when you can make a meaningful statement? Disclosure: ABCD Diaries was given a Ban tee for review purposes only. We were in no other way compensated. The opinions expressed in this post are ours and ours alone. Thanks to Ecover we got to try out another green cleaning option, Ecover All-Purpose Cleaner. 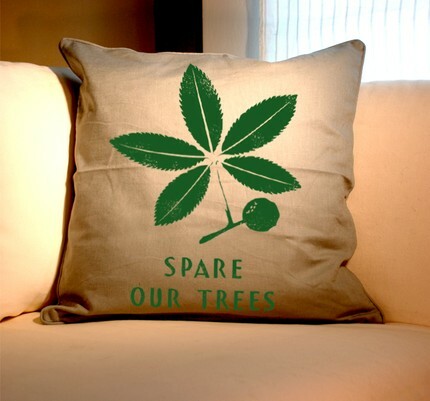 The environment starts in your home! Ecover is a safe alternative to the seemingly endless array of chemical-based household cleaners on the market today. With an entire range of products for cleaning – from the dirty clothes hamper to the washroom to the kitchen sink! – Ecover makes it easy to clean effectively while still making small changes to help the environment. It is sometimes overwhelming when you stop and think about all the environmental issues we are faced with on a daily basis. But taking the steps to make a few adjustments in your routine makes a major impact. Ecover makes it easy to do your part without compromising quality with a full range of products. I really enjoyed using Ecover. The All-Purpose Cleaner had simple, easy to follow directions and immediate results. I loved how versatile the cleaner was...it was safe and effective enough to use in every room of our house. The ingredient list was short and simple and I especially love that in a cleaner..you really know what you're putting into your home:) We are very sensitive to scents and the light lemon fragrance didn't seem to bother any of us. Overall, Ecover All-Purpose Cleaner is a green cleaner we will continue to use and feel good about it:) ABCD Diaries gives Ecover an A! Buy It: You can find a huge range of Ecover products for your entire home at HEB, Whole Foods, and many other retailers...check the store locator for your nearest location. 7.Enter any other current giveaways on ABCD Diaries and leave a comment saying so. Disclosure: ABCD Diaries was given an Ecover product for review purposes only. We were in no other way compensated. The opinions expressed in this post are ours and ours alone. "Simply put, there is nothing not to love about popcorn. For starters, it smells simply divine when a bag is first opened; most folks can't help but dip their nose into the bag to take a great sniff. Popcorn is crunchy. It is flavorful. You can toss individual kernels into the air and try to catch them in your mouth for spontaneous displays of silliness. It makes movies, ballgames, and even the circus more entertaining. It is an incredibly sociable snack. Popcorn never fails to put a smile on the face of those who grab a handful. The other thing about popcorn, especially Popcorn, Indiana popcorn, is that for all the fun and frivolity found in every bag, it is also quite the healthful little munch. Popcorn is surprisingly low in calories, especially when compared to other snacks, and can actually provide a significant amount of the USDA recommended amount of whole grain in your daily diet. So as you laugh and joke with your friends and family, enjoying the rich taste and irresistible texture of freshly popped, farm-grown popcorn from Popcorn, Indiana, you are actually giving your body something it really wants. So don't ask the question "Why eat popcorn?" Ask, "Why not eat popcorn?" ABCD Diaries was given the opportunity to try out Popcorn, Indiana. With the two little ones running around, we are always up for new snacks that are not only delicious, but good for the whole family. Popcorn, Indiana products definitely fit the bill! I loved the variety of flavors...we got to try Original Kettle, Movie Theater, Smoked Cheddar Kettle and Aged White Kettle. We especially loved the movie theater popcorn and the original kettle corn, though D seemed to have a thing for the cheesy varieties. The only issue we had was with the first bag we opened...we just didn't eat it fast enough(we went out of town for 2 days and should have taken it with us:) and when we got back to it, the popcorn was a little soft. Even still A said it was her favorite and finished the bag:) None of the other bags stayed around long enough to go stale:) Overall, we LOVED Popcorn, Indiana and the next time we are looking to buy pre-popped popcorn we are buying Popcorn, Indiana from our local HEB! ABCD Diaries gives Popcorn, Indiana an A+ for the whole popcorn-loving family!! Buy It: Check out the store locator to find Popcorn, Indiana products near you! You can find them at many stores including HEB, Kroger, Safeway, CVS and Walgreen's. They even have these convenient lunch box or snack size packages!! Disclaimer:ABCD Diaries was given a sampler of Popcorn, Indiana for review purposes. We were in no other way compensated. All opinions expressed in the post are ours and ours alone. We were recently given the opportunity to try out a few different Talking Rain beverages. Talking Rain specializes in flavored waters with an array of natural flavor, antioxidant, vitamin, mineral and electrolyte options. Buy It:You can find Talking Rain beverages for about $1.29/ bottle at your local grocery stores including HEB, Kroger, Meijer, Publix and more...check out the store locator for your nearest location. Disclaimer: ABCD Diaries was given a sampler of Talking Rain beverages for review purposes only. We were in no other way compensated. The opinions expressed in this post are ours and ours alone. We have another awesome Etsy shop for ya'll to check out! This giveaway is sponsored by Zen Threads, your one-stop Etsy shop for custom, urban, vintage and retro t-shirts and accessories! "Every Zen Threads is a hand printed creation made especially for you. 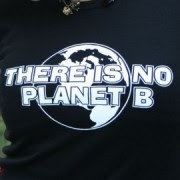 As our commitment to the environment, we use biodegradable eco-friendy inks on every item we print. All of our tees are vintage soft and sweatshop free American Apparel. All prints are available in a Men's or Women's style tee, in the shirt Size AND Color of your choice. When noted, you also have the option to choose the ink color, so we encourage you to GET CREATIVE!" 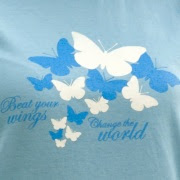 Buy It: Check out Zen Threads shop here or the website to get your very own hand printed creation! Win It: The folks at Zen Threads have generously offered one lucky ABCD Diaries reader the tee of their choice. To enter, go to Zen Threads and let us know an item that catches your eye. Disclosure: ABCD Diaries was in no way compensated for this promotion and giveaway. The info in this post was provided by the sponsor. Knight Life: Congrats to Jason and Anonymous(babybunny)! Secrets of Newberry: Congrats to Nicole C, Sue, and Nancye! You have all been emailed...Thanks to everyone who entered!! 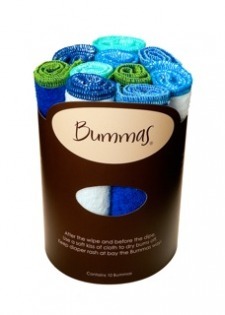 "The creation of Bummas came about when we had our first baby boy. When your first arrives, you are given all kinds of advice: "Use the wet commercial wipes, don’t use the wet commercial wipes, use gauze; use whatever is handy to block the pee; use another diaper to block the pee; don’t use that, use this; use powder to dry them off, don’t use powder-it contains talc and studies have linked talc to cancer.” The one thing that was never mentioned was how to dry our little guy’s “stuff” off after the clean up. Our baby’s bum was just way too wet to put a diaper back on--and blowing down there until you’re blue in the face just wasn’t working. Thus Bummas were born. 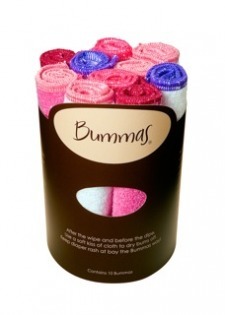 A soft absorbent, luxurious baby cloth to soak up all the wetness." Isn't that as novel idea! While we don't have a newborn(our youngest is 20 months) we still found uses for these awesome little cloths! They are super absorbent and can easily clean up spills...the kids love using them instead of paper towels:) They are also soft enough to use as wash cloths at bath time and when we wash up after a messy art project, dinnertime or when we come in from playing outside. They are also just the right size to carry in the diaper bag for on the go use. The are machine-washable and won't pill, shrink or fade. They have a variety of color combinations to match your nursery themes. We love finding useful eco-friendly products to replace the more wasteful items we previously used! Bummas will last until your little one is out of diapers and beyond:) ABCD Diaries gives Bummas an A+ for the little ones in your family! 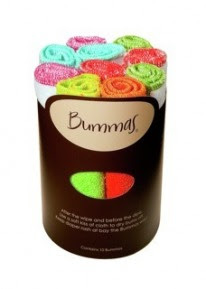 Buy It: You can find Bummas in-stores or on their website. Disclosure: ABCD Diaries was given a set of Bummas for review purposes only. We were in no other way compensated. The opinions expressed in this post are ours and ours alone. We love sharing info on healthy and fun food and snacks for kiddos with our readers. So let's talk about our latest find...EcoMom! EcoMom says: "Healthy living doesn't have to be overwhelming.Small steps matter, and make a big difference. We Make It Easy. Founded to address the connection between the health of our environment & the health of our children, EcoMom is committed to making eco-conscious living easy, affordable, & rewarding with education, support, tools & products." And what a fabulous job they do!! EcoMom offers a wide variety of products from the high chair to the lunch box, so you should definitely go check them out for all your eco-freindly needs! They also have a new program called the EcoPass that allows you to purchase a $99 annual membership that provides a 15% discount on every order as well as frees shipping with no $75 minimum requirement. This could easily pay for itself if you order your eco-frinedly products online! Buy It: Find your eco-friendly baby products at EcoMom! Especially for ABCD Diaries readers....if you purchase before June 30 use the code SBBL426 to save 15% on your order! 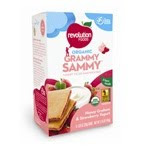 Win It: EcoMom has generously offered one ABCD Diaries reader $15 worth of Plum and/or Revolution foods!! To enter, go check out their site and let us know one item that catches your eye. 8.Enter any other current giveaways on ABCD Diaries and leave a comment saying so. 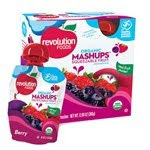 Disclosure: ABCD Diaries was given a sampler of Plum and Revolution foods for review purposes only. We were in no other way compensated. The opinions expressed in this post are ours and ours alone. I love Etsy browsing! If you like amazing handmade creations you should check out this weeks "5 Etsy Shops Worth Browsing!" CreaShines- Absolutely gorgeous polymer clay jewelry! Lover Dovers- Lovely retro aprons, retro girls dresses, party dresses and costumes! Batgirl93- Unique bat-related creations and flour sack hand towels! Kissadesign- Modern paper Polish porcupine ornaments & more! Thanks to all of these AMAZING Etsy shops for permission to link to you! "I am a mom to 18 month old twin boys. I found that the hooded towels I got for my baby shower were too thin and flimsy for my liking. I started sewing towels for myself then friends and family and people were asking for more! Each towel is made from a full size bath towel with a matching hood. I add a strip of fabric to the hood then an initial or a shape to the bottom. 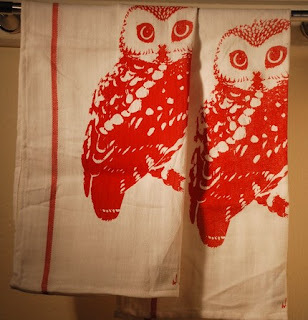 I can customize the towels however you like and if you have an idea or a special request please let me know! " 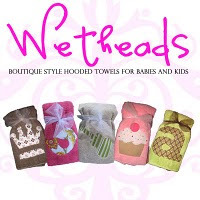 Buy It: You can outfit the little ones in your life with these gorgeous towels at the Wetheads Shop or the Wetheads blog. She even does custom orders! Win It: Wetheads Towels is generously offering one lucky ABCD Diaries reader their choice of either the alligator or the flower towel below. To enter, check out Wetheads other creations and let us know you're favorite. Don't forget to check out the extra entry methods as well! 2.Grab Wetheads button from their blog and post it on yours and get an extra 5 entries!! Disclosure: ABCD Diaries was not given any product or compensated in any way for this Promotion/Giveaway. The statements in this post were provided by the sponsor. The kiddos tried out a variety of the Honest Kids pouches including Berry Berry Lemonade, Tropical Tango Punch and Goodness Grapeness. They loved them. I loved knowing I was giving them a healthy, refreshing beverage that provided them with 100% of the daily Vitamin C! ABCD Diaries gives Honest Tea and Honest Kids an A+ for the whole family!! Buy It: You can find your nearest Honest Tea retailer here or buy online from Honest Tea's website. Disclosure:ABCD Diaries was given a sampling of Honest Tea beverages for review purposes only. We were in no other way compensated. The opinions in this post are ours and ours alone. Thanks to Growing Cooks, A and D got to test out the Basic Chef Set. Everything is packaged in a vinyl oven mitt case. This set is best suited for children 3 - 6 years of age. Buy It: You can get your own Basic Chef Set along with other cool cooking stuff for kiddos like the oven mitts and apron sets above at Growing Cooks. The Basic Chef Set is only $7.95 and Growing Cooks offer a discount on large orders! Disclosure:ABCD Diaries was given a Basic Chef Set for review purposes only. We were in no other way compensated. The opinions expressed in this post are ours and ours alone. Sweetness born from a leaf, not in a lab. Meet the stevia plant. The proud parent of our natural sweetener. People have been sweetening foods and beverages with stevia leaves for hundreds of years. The taste comes from a natural ingredient from the leaves called rebiana. Rebiana is what gives Truvia™ natural sweetener its clean, honest sweet taste. Simple. Who knew going green could be so good? We have tried quite a few sugar substitutes and I must say, Truvia is the closest we've come to an artificial sweetener tasting like sugar. You can still tell it isn't the real deal, but the taste isn't nearly as obvious as many others. It dissolves easily in cold or hot liquids and works really well in baked goods to. They also have an extensive recipe collection on their site and I've picked a few to share with ya'll. This apple crisp sounds divine, especially for the cooler autumn months. ABCD Diaries gives Truvia a B+ for anyone in your family looking for an alternative to sugar. Buy It: You can find Truvia at your loacl grocery store. 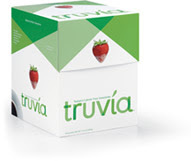 Win It: Truvia has generously offered a box of Truvia to a lucky ABCD Diaries reader. To win, let us know if you've ever tried Truvia. Disclosure: ABCD Diaries was given a box of Truvia for review purposes only. We were in no other way compensated. The opinions expressed in this post are ours and ours alone. 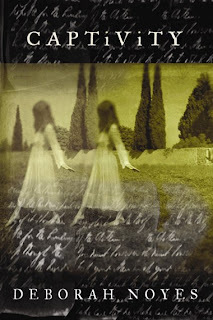 This masterful historical novel by Deborah Noyes, the lauded author of Angel & Apostle, The Ghosts of Kerfol, and Encyclopedia of the End (starred PW) is two stories:The first centers upon the strange, true tale of the Fox Sisters, the enigmatic family of young women who, in upstate New York in 1848, proclaimed that they could converse with the dead. Doing so, they unwittingly (but artfully) gave birth to a religious movement that touched two continents: the American Spiritualists. Their followers included the famous and the rich, and their effect on American spirituality lasted a full generation. Still, there are echoes. The Fox Sisters’ is a story of ambition and playfulness, of illusion and fear, of indulgence, guilt and finally self-destruction.The second story in Captivity is about loss and grief. It is the evocative tale of the bright promise that the Fox Sisters offer up to the skeptical Clara Gill, a reclusive woman of a certain age who long ago isolated herself with her paintings, following the scandalous loss of her beautiful young lover in London.Lyrical and authentic—and more than a bit shadowy—Captivity is, finally, a tale about physical desire and the hope that even the thinnest faith can offer up to a darkening heart. This novel is hauntingly spectacular! Captivity is a gripping tale, and Noyes tells this spellbinding story beautifully. It is spooky and eerily fascinating. If you're looking for a captivating read, you should really consider this story! Disclosure: ABCD Diaries was given a copy of Captivity for review purposes only. We were in no other way compensated. All opinions expressed in this post are ours and ours alone.